245 Acres in Pike Co.
A Healthy Forest Refuge. 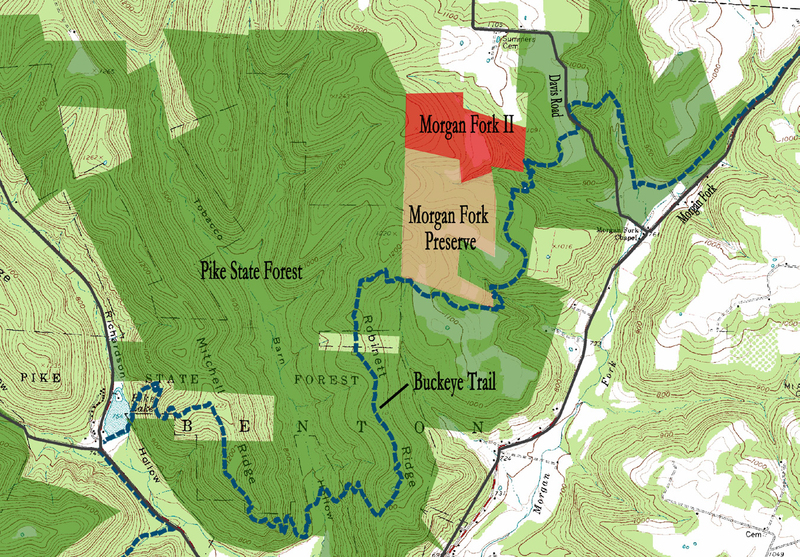 Morgan Fork Preserve is situated on a plateau bordered on three sides by Pike State Forest. Originally an old hill farm left idle for many decades, today it is covered with a healthy forest that supports deep forest species such as Cerulean warblers. As one of the last privately owned tracts in the state forest’s largest block of contiguous, roadless forest land, when its first 145 acres came up for sale in 2007, it was too good an opportunity for the Arc to pass up! Thriving Biodiversity. Morgan Fork is best described as a good, solid, no-nonsense Appalachian Forest, with its signature oaks & hickories, wild turkeys, and dogwood flowers. It serves as a dependable aging forest refuge for Wood Thrush, Ovenbirds, Parula Warblers, salamanders, and other natives who thrive in undisturbed communities. Protected Habitat for Endangered Rattlesnake. In 2010, an additional 88 acres came up for sale bordering the preserve to the north. What attracted the Arc most about this property was the fact that is provides habitat and home to one of the last remnant populations of Timber Rattlesnakes in the state. Timber rattlesnakes are a state endangered species associated with mature forest habitat, found only in eight Ohio Counties. Aesthetic Appeal. The preserve boasts beautiful, imposing exposed rock formations and a dramatic steep-sided ravine carved out of shale with a sandstone bed. 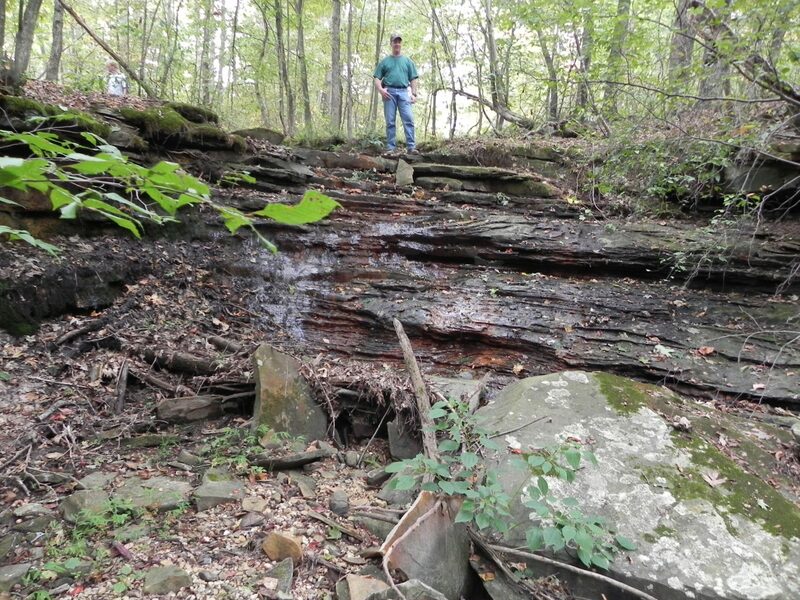 The purchase of these two properties provides watershed protection to the tributary that runs throughout the preserve and continues through the state forest until its confluence with the main stem of Morgan Fork.